The long-awaited beta for Bungie's incredible looking new IP, Destiny, is now available for PS4 owners. 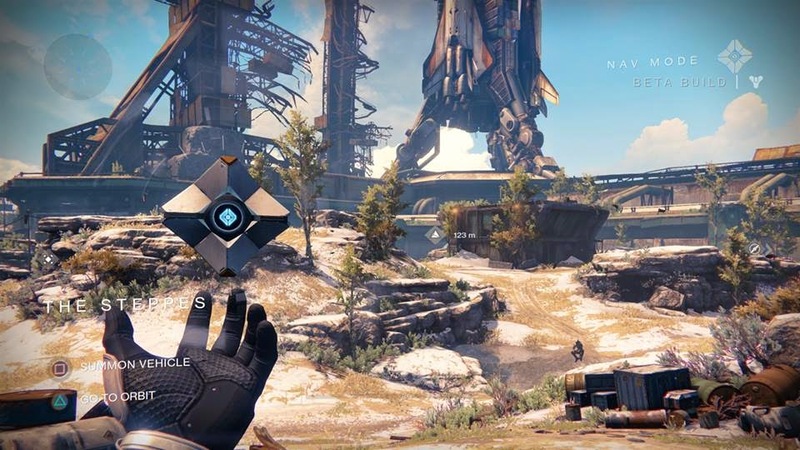 For those who don't know, Destiny is an epic sci-fi FPS/RPG, set in the distant future. When a mysterious, huge orb known as the Traveler is discovered on Mars, humanity thrives in a way nobody could have ever imagined. The average human lifespan is tripled, previously inhospitable planets become garden worlds, teeming with life, and for a while, everything is fine. But a mysterious evil arrived, and almost wiped out humanity. There would have been no survivors were it not for the Traveler, and to rebuild humanity, it used it's dying breath to create Ghosts, tiny robots that scour the solar system, looking for those with the Light in them, known as Guardians. You are resurrected by one such Ghost, and it's here that your epic journey begins. Now that the Beta is over, here's what I thought of the most anticipated game of the year. The game opens with a Ghost (voiced by Game of Thrones star, Peter Dinklage) waking up your character after being dead for centuries. He will be your companion for the entirety of the game, and can help with navigation and accessing Golden Age technology. You can choose from three different classes, each with differing abilities and stats. The Titan is the classic assault soldier, who can soak up more bullets than the other classes, is able to summon a shield from the Void, and whose melee attack is just a brutal punch. The Hunter is the sniper class, who is more agile than the other classes, takes advantage of sniper rifles, and has a knife for close encounters, which can be upgraded to allow you to throw it. Finally, there's the Warlock. Essentially Destiny's version of a Mage, they harness power from the void to summon dark energy, and is able to use a burst of it as a powerful melee attack. They're all perfectly balanced and suited to what they do, and each offer a distinct set of abilities, making each class vastly different to the others. You also get to choose your Race, from three very different options. The first one is human, which doesn't really need any explanation, but the Awoken and Exo are a little different. The Awoken tried to escape during the collapse of the Golden Age, and something happened to them on the edges of space, changing them forever. They are a mysterious race, with pale blue skin and beautiful markings, and kind of look like dark elves. Your last option is to be an Exo, which started as humanoid war machines in the Golden Age, but since the collapse, they have lost all memory of their previous purpose. Some of them work normal jobs in the City, but some fight as Guardians. Whichever you choose, you can make a unique character with Destiny's fantastic customisation options. The missions in the Beta are mainly confined to Old Russia, with a few tutorials taking place at The Tower. You'll mainly be moving point to point, killing all enemies and using your Ghost for downloading data, restoring power, turning back on satellite arrays, and other fairly generic sci-fi actions. It may sound repetitive, but it really isn't. The combat is so unbelievably fun, that you'd be happy to just be killing waves of enemies. Exploring the environments is always exciting, not only because it looks freaking beautiful, but there are so many secrets to find, which are often very rewarding. 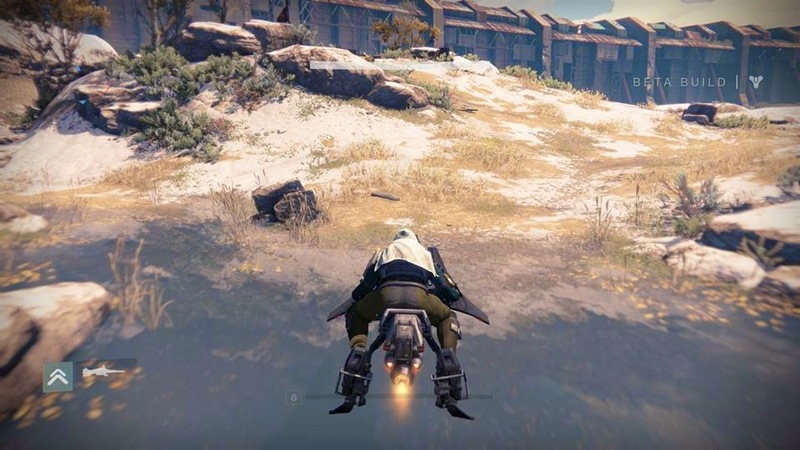 To help you navigate the expansive worlds, you can unlock a Sparrow, which is reminiscent of a Star Wars speeder. It uses the classic Bungie vehicle control scheme, where you look in the direction you want to go, rather than steering in the usual way. It doesn't take long to get used to though, and pretty soon you'll be taking tight corners, making awesome jumps and just generally feeling awesome. Aside from the story missions, you can partake in Strikes and Public Events. A Strike sees you and two other players (who form your Fireteam) working through a level and systematically destroying enemies. The difficulty is ramped up, with stronger enemies and more bosses to kill. They take quite a long time, but you are rewarded with a ton of experience, and some awesome loot. Public Events occur in the open spaces, where players drift in and out of each other's games, and usually see you defending a specific area from waves of enemies, brought by dropships. It's awesome to team up with random players just for a few minutes, and you really start to understand Bungie's vision of a "shared-world shooter". It works amazingly. There are competitive matches against other players, but the Beta was limited to one mode, called Control. It's a classic game type which pits two teams against each other, trying to gain control of three zones. The more zones your team has, the more you score, it doesn't mix up the formula too much. The great thing about Destiny's PvP is that your character carries over from the story mode, exactly the same. You keep your armour and weapons, and can even summon your Sparrow. It's a seamless transition between the competitive and cooperative game modes. And despite the fact that everyone can potentially have a different weapon, it doesn't feel unbalanced. 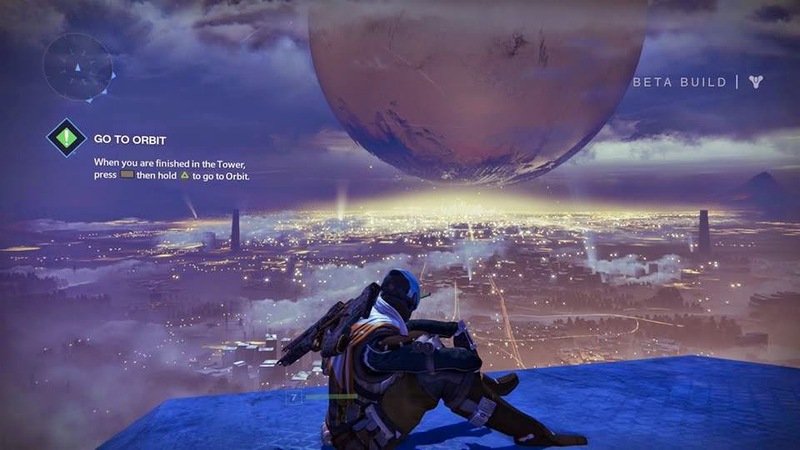 After playing the beta, it's easy to say that Destiny is going to be incredible. It's fast-paced gameplay, complex storyline and one of a kind approach to online play make Bungie's latest title a truly unique experience. When the final product is released next month, those who didn't manage to check out the Beta are going to be blown away by the scope and quality of Destiny, and those who did, are no doubt impatiently waiting to jump back into one of the most exciting games in years.